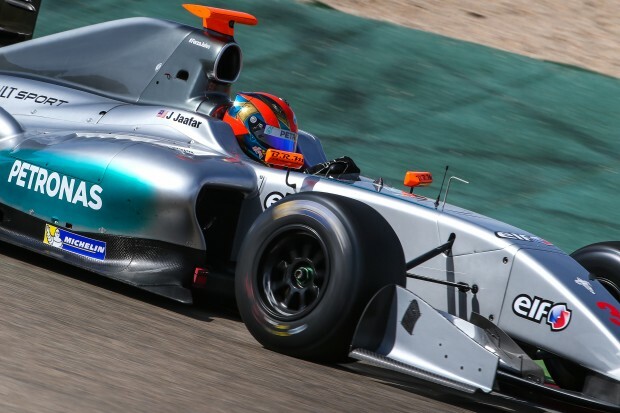 Jazeman Jaafar will be out on track tomorrow for a new season of racing, with the first race weekend of the 2015 Formula Renault 3.5 Series (FR3.5) taking place in Motorland Aragon. Entering his third year in this prestigious championship, a feeder series to Formula 1, Jazeman is aiming high and expects to be a regular podium visitor. Jazeman has had two strong seasons in FR3.5, the headline championship of the popular World Series by Renault, and in pre-season testing has already shown that he is going to be one of the drivers to beat. He regularly topped the timesheets in pre-season testing and had very strong pace throughout the sessions. Now he turns his attention to the competitive environment with 17 races at nine top racing circuits this year. Jazeman says of the weekend ahead, “Finally I’m back out on track and racing again. As much as I love testing and just being in the car on a circuit, nothing compares to sitting on the grid waiting for the lights to go out and racing competitively. It’s the most exciting, exhilarating feeling and one I’m definitely addicted to.